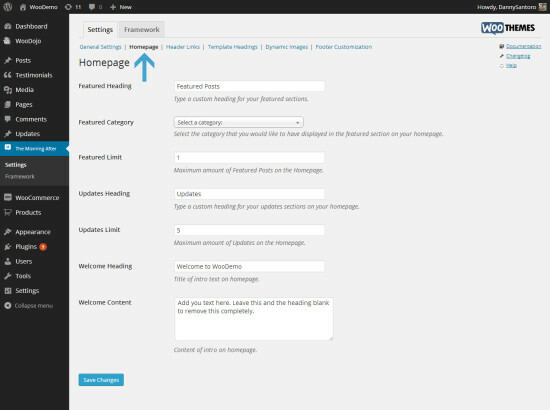 The featured posts module, displayed on the home page of the TMA demo, is a module that is category based. As long as you specify a category to pull results from (in the “Homepage” theme options) it should populate with a list of posts. You can limit the number of posts to display in this module, and give it a suitable heading also in the theme options. Below is a screenshot of the theme options of the Featured Posts module. 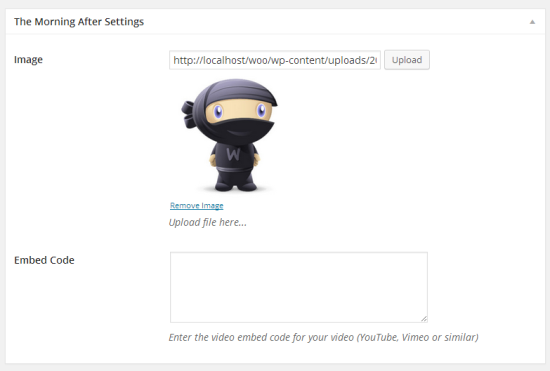 Adding thumbnails to display on the featured posts widget in the correct sizing is very easy thanks to the Woo image resizer script that generates cropped images to the required sizing for the templates. All that is required is that you navigate to the “TMA Custom Settings” below the WYSIWYG in the post/page editor and upload an image or add a video embed code in the corresponding fields. Once you have uploaded your image save your changes to the post and they should appear nicely in the featured posts widget. Remember the image resizer can scale down an image, but if an image is smaller than the designated placeholder for it it will appear smaller. The TMA theme has a dedicated post type for “Updates” – these can micro-blogging snippets of content that is not worthy of a full blog posts. There is a reserved spot on the home page to display these updates and they can be simply added under the “Updates” section of the WordPress backend. You can give the updates a header on the home page and limit the amount of them to display. The welcome text appears above the two sidebars on the home page. It can provide a bit more information about your site. To set it up simply navigate to the “Homepage” theme options and add your information as seen below. TMA uses WordPress 3.0’s header and background appearance options. 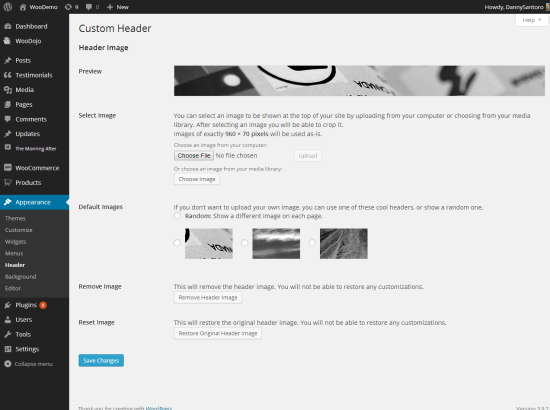 You can easily upload an image to be displayed throughout your website in the header section and behind the website wrapper. The options for the images are easy to understand and demonstrated below.